Philips 15-Watt T6 exit sign light bulb provides a bright light for use in exit sign fixtures. It has a candelabra base should be used with a 145-Volt fixture. Light for all of your specialized fixtures. Philips Specialty Incandescent and halogen bulbs provide the perfect light for accent and display lighting as well as general lighting in a variety of applications. 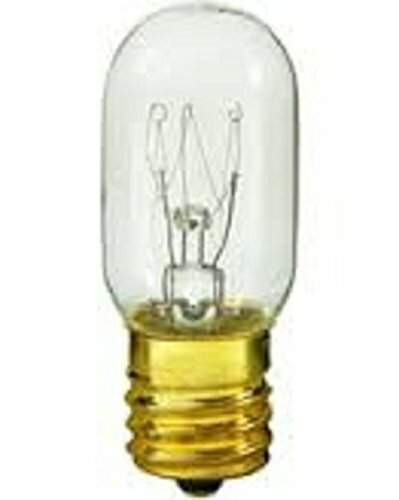 40 watt 130 volt T6.5 intermediate screw (E17) base clear incandescent halco light bulb. Color/finish: clear. Average lifetime: 2500 hours. Lumens (light output): 350. 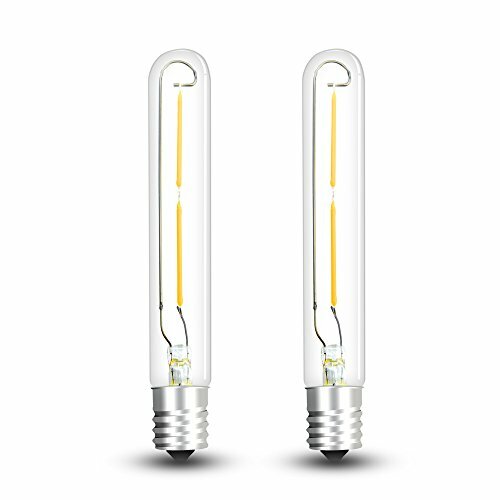 This T7 1/2 20-watt appliance bulb's sturdy design is specially made to withstand heat. 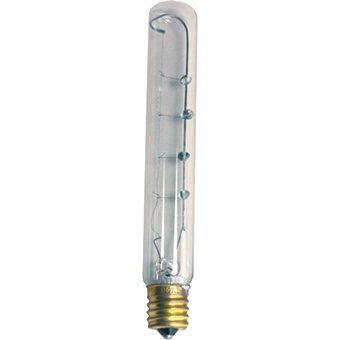 Versatile for multiple applications, this 160-lumen bulb is ideal for use in microwaves, ovens, sewing machines, and other small household appliances. Rugged filaments endure vibrations from opening and closing the doors on appliances. Features an Intermediate base. Use this bulb for appliances requiring smaller-profile bulbs. Philips reuses as much glass and packaging material as possible, reducing environmental impact. Estimated annual energy cost of $2.41 (based on three hours/day). 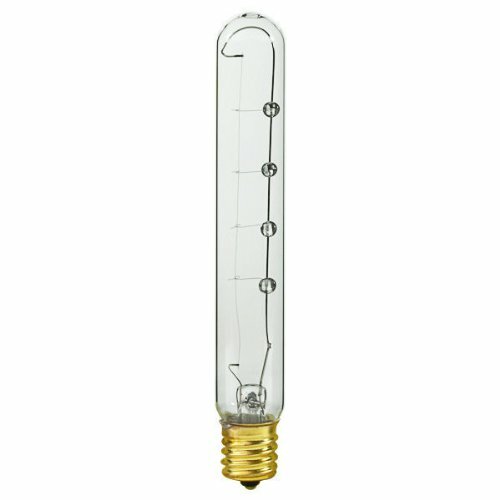 This product ships as a single bulb. 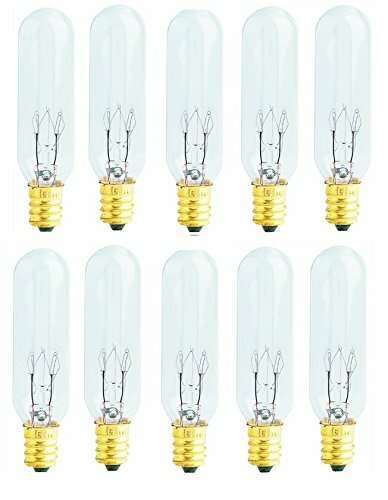 These bulbs are 15 Watt, 130 Volt. They can be operated at 120 Volt. IMPORTANT: The base of this bulb is a 12mm screw, that is slightly less than 1/2 inch. There are similar bulbs that use a slightly wider base (E14 and E17). Please make sure you need an E12 base bulb before ordering. For reference, the base on this bulb is identical to that found in night-light bulbs. 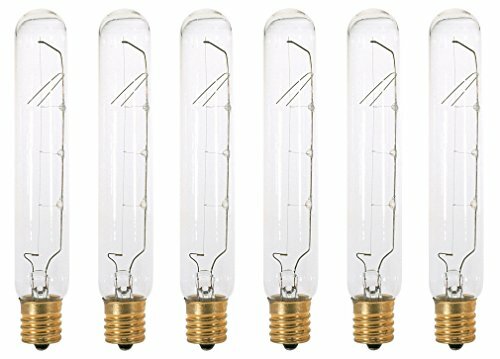 These high quality tubular shaped light bulbs are small in size (measure only 3" long) but big on performance. Nickle plated base for positive contact and corrosion resistance. 20 watt exit sign incandescent bulb from halco. Incandescent bulbs are inexpensive lighting with low energy efficiency (losing 90-95% energy as heat) and uses AC or dc current. 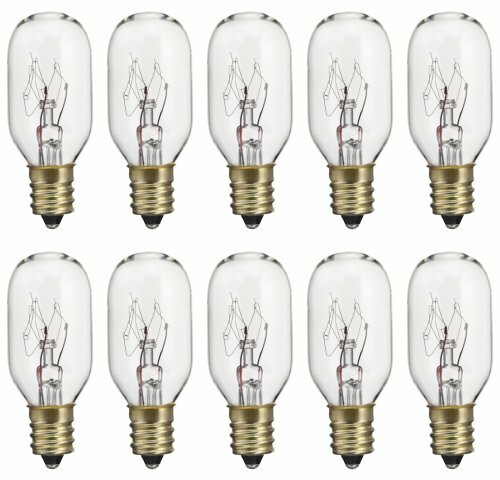 Tubular bulbs are used in appliances, exit signs and displays. Specifications: intermediate base. T6.5. 130 Volts. 2,500 hour life. 5.5\" mol.